47 Meters Down is a shark movie starring Mandy Moore (This is Us) and Claire Holt (The Originals) as sisters on vacation in Mexico, who decide to go cage diving with Great Whites. That turns out to be a bad decision as their cage plummets to the titular depth, and soon the women are fighting for survival from both the sharks above and the impending loss of oxygen. I’ll be honest, this movie had me at “shark.” I am an unabashed shark movie enthusiast. Spielberg’s JAWS is one of my favorite films ever, and I started writing for Geeks of Doom by covering the Sharknado franchise. So suffice to say, if you put sharks in a movie, I’ll be there to watch it. Unfortunately, sharks are about the only thing 47 Meters Down has going for it. 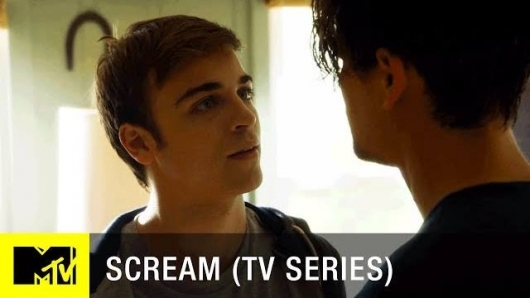 MTV’s Scream has splattered the network with blood and gore each of the last two summers. Fitting with the season, they released a special 2-hour Halloween Special for Season 3. Poor Emma (Willa Fitzgerald) has had to deal with a lot these past two seasons. Season 1’s killer, Piper Shaw (Amelia Rose Blaire), turned out to be her half sister. And when she was killed off, we found she had an unknown accomplice. Turns out Kieran (Amadeus Serafini) was said accomplice, and he was Emma’s boyfriend. Considering her first boyfriend on the show was brutally hacked up season 1, Emma is NOT doing too well in the love department. And so it comes to this. MTV’s Scream fell deep into a sophomore slump early on, but has been fighting its way with a series of good episodes heading down the stretch. 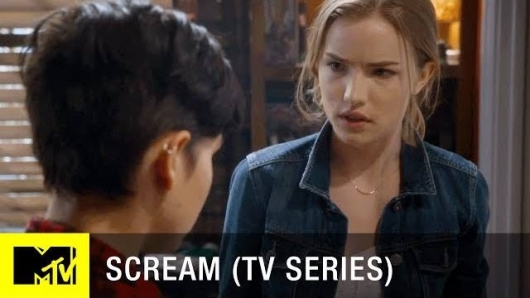 Emma (Willa Fitzgerald) and Audrey (Bex Taylor-Klaus) killed the murderer, Piper Shaw (Amelia Rose Blaire) at the end of season 1, but someone has been continuing her bloody legacy. Legacy is the opportune word in Lakewood, a town known for its bloody legend, Brandon James. Piper, it turned out was Brandon’s daughter, Emma’s half sister. 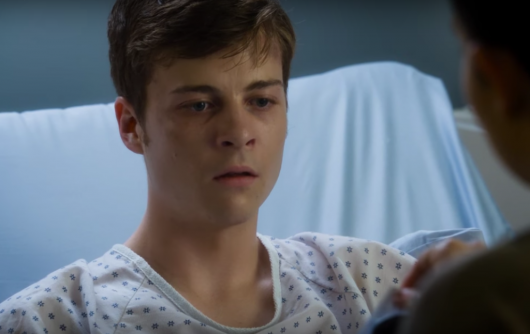 Could Brandon be seeking revenge for his daughter’s death? Sheriff Acosta (Anthony Ruivivar) thought so. But when he sent officers to the James family farm, they found the Mayor dead, and Emma and Audrey standing over the body, blood on their hands. Is the killer framing them as part of his games? Will the rest of the Lakewood 6 survive? Spoilers for the season finale of Scream below. Spoilers for this week’s Scream below. Spoilers below for this week’s Scream. Last week, Emma (Willa Fitzgerald) continued her pathway towards becoming horror’s all time dumbest final girl, as she again ignored every natural instinct and went with sketchy Eli (Sean Grandillo) to “have some fun” since she’s mad at her boyfriend and his brother, Kieran (Amadeus Serafini). That’s right, the survivor of a serial killer, who is again being chased by another masked killer, while suffering from PTSD, takes off with the weird new kid to be alone in an abandoned house. The house, it turns out, isn’t fully abandoned as there are dead/dying bodies in the bathtub. One is Seth Branson (Billy Campo), Brooke’s former lover and potential suspect. Bad news for him, the house goes up in flames right after Eli puts the moves to Emma. Emma’s teacher Ms. Lang (Austin Highsmith), another potential suspect was also left for dead by the killer, in an attack geared to set up Brooke (Carlson Young). In other news, Audrey (Bex Taylor-Klaus) rescues Noah (John Karna) from a horror death sentence, by interrupting him and Zoe (Kiana Lede) in flagrante delicto. Spoilers for this week’s episode of Scream.